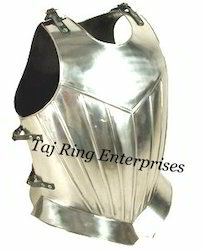 Providing you the best range of war medieval muscle armor, golden muscle armor, bronze breast plate armor, medieval ancient armor jacket, leather armor and leather breastplate armor with effective & timely delivery. 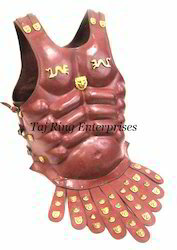 This is Styled after the Romans muscle armor during the 5th Century. 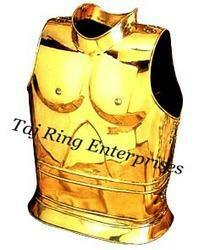 You will have the best looking Halloween Costume. 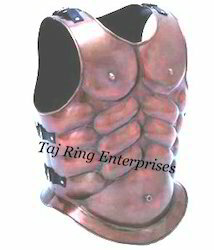 The Straps are made of leather This is Styled after the Romans muscle armor during the 5th Century. 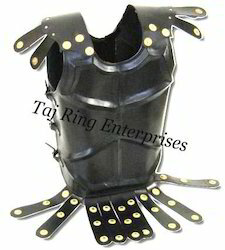 This Armor Is fully wearable and has adjustable Leather Straps. 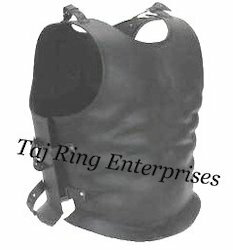 The Straps are made of leather. as well as collections and re-enactments. 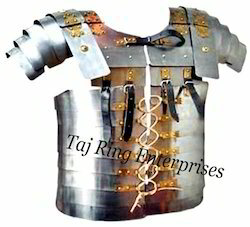 The cuirass was an important piece of armor that protected the front of the torso. 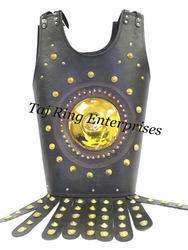 A great piece to complete any costume ensemble as well as collections and re-enactments. 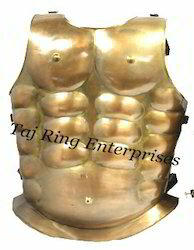 Beautiful Muscle Armor With Brass Fitting & Brass Assents. 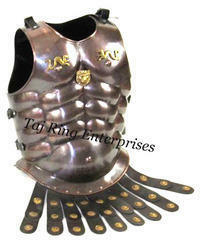 All workis hand made Made of full Leather With Brass Dragon Armor .. The Straps are made of leatherYou will have the best looking Halloween Costume. 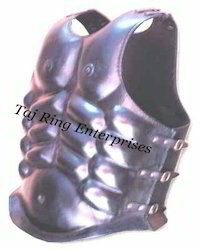 impressive display and it can also be worn.